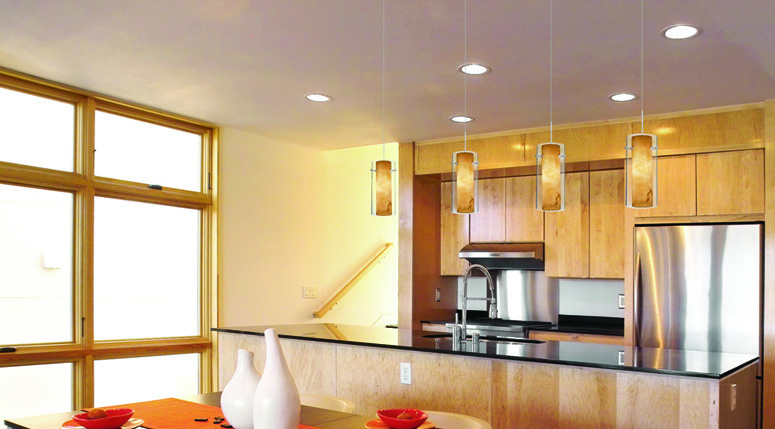 Recessed lighting (also called “cans”, “pots” and many other references). 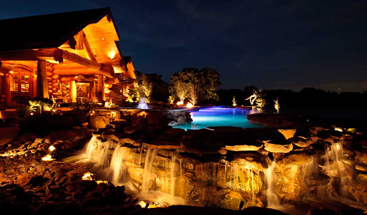 There are more options today than ever existed previously in the history of lighting. 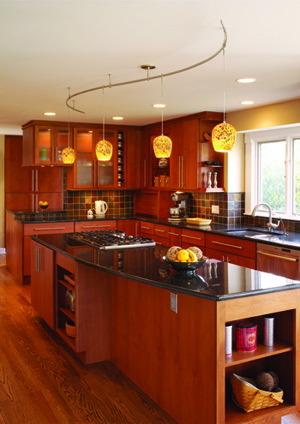 Recessed are an exceptional lighting source, when used correctly. Those that say they do not like Recessed, have not seen good Recessed. Lighting Gourmet content on Recessed is driven around Juno, Aculux and WAC. These are some the most progressive developers of Recessed lighting including developing some of the newest LED products on the market today. With the introduction of LED Recessed lighting, the options and considerations have increased exponentially. 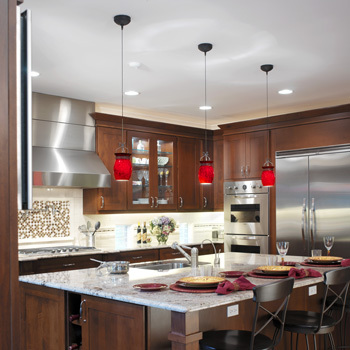 Below is an overview of the basics in Recessed lighting. More in-depth articles on a variety of topics discussed in this overview are also available and/or will be available over the next several months. 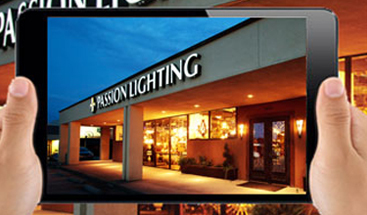 If you have any comments or questions, you can email them to bruce@passionlighting.com and include your basic contact information including full name, phone number and the state you reside in. Recessed can be grouped into 3 major categories. They include (1) traditional Recessed and lamping, (2) traditional housing and retrofit LED trims, and (3) integrated Recessed. Each is explained further below. Category 1 Traditional Recessed – this has been around for many years and is most commonly found in 4 inch, 5 inch, and 6 inch sizes. This Recessed can be IC or Non IC rated (IC means the Recessed is designed to be covered directly by insulation; non IC Recessed typically requires at least 3 inches of spacing from insulation). Traditional Recessed includes a housing, a trim and a lamp. There are new construction Recessed housings and remodel housings. New construction housings are installed during rough-in construction when the space has open rafters and has not be covered with sheetrock or similar materials. New construction can also be used in remodel installations BUT this is much more difficult, creates many problems do to access and space limitations, and is typically VERY frustrating for electricians to do (and typically more expensive installation). Remodel Recessed is typically used after sheetrock or other materials are installed with a hole cut to the specified size and the housing can be wired from the living space and then pushed through the hole and clipped in place. See specifics for each manufacturer’s specifications. The trim and the lamp are installed separate from the housing. Each Recessed housing has several trim options, in some cases upwards of 100 options (Aculux brand) when you consider finished and lamping choices. Each combination usually allows several lamp options as well. Each trim/lamp and housing combination is intended to create a specific result. This includes how much light is provided; how much, if any, flexibility of lamp adjustments is allowed; size of the opening in the finished ceiling; the color or finish of the trim itself; the cut-off of the lamp source; the amount of glare protections provided; and other key aspects. Lamp (bulb) options can include a wide variety of bulbs options. This can include the type of bulb, size of bulb, wattage limit of bulb, type of bulbs and other aspects. This can include BR lamps, PAR lamps, MR16 lamps, and a host of LED lamps. Lamp dimming is critical as well, most lighting designers (myself included) desire dimming in most applications, with no downside to dimming (except cost), if the product is designed to be dimmed. This category of Recessed is generally the least expensive relative to the two other options described below. A basic 6 inch high quality Recessed housing, white baffle and traditional BR40 lamp cost around $35 for product. At the other end, Aculux 3 inch Recessed with MR16 lamping ca cost upwards of $250-300 per unit. So cost can vary tremendously and the results will vary as much. There is no reason to use a $250 Recessed in a guest bedroom used 4 times a year, at the same time why light a $5,000 piece of art with a $50 Recessed that will not provide the proper results. Category 2 Traditional Housing & LED Retrofit Trims – this group has the same aspects of Recessed housing as discussed in category 1 above. What changes is the trim out options. Instead of traditional trim and a separate bulb, a LED retrofit trim installs in the existing or newly installed traditional Recessed housing but “converts” the Recessed to an LED product that will not require replacement of any lamping. The high quality retrofit Recessed (like Juno) does not appear like an LED, rather it looks like a traditional Recessed with exceptional cut off. Benefits of a high quality retrofit include minimal energy usage (upwards of 75% less energy), a very long life of 30,000 hours or longer, high lumen output of 900 lumens, color options from 2700K, 3000K and 3500K, very good dimming with low cost Lutron dimming products, and very easy installation taking only a couple minutes to complete. The finished appearance is critical to this product along with strong glare prevention. Low cost, low quality Recessed retrofits are shallow (vs deeper trims like the Juno), generate excessive amounts of glare (which is often perceived as brightness but is not), lower lumen output of 600 lumens, and in many cases have poor color quality and are inconsistent in color, and dim poorly. What you pay greatly impacts the final result of this product group. While prices change frequently, high quality retrofit trims generally cost $65 to $75 ea. Category 3 Integrated Recessed – this category is the best longterm option for many projects. Setting aside budget, the finished results and long-term performance of the home with all aspects considered is by far the strongest with this option. The Juno and Aculux product development of LED Recessed is incredible, with constant product innovation and improvements. In some cases, Recessed lumen output is increasing 50% with 1 generation of product development, at the same time costs are trending downward. An integrated Recessed has an LED module built into the Recessed housing and is designed to provide the strongest dimming results with the specified dimmers of that housing. Dimming is critical to most lighting designers and more importantly, to obtain exceptional results of the project for all times of day and night. Additionally, the finished look does not have any appearance of being an LED, again very important. The traditional Recessed with an LED lamp is nothing other than ugly (unless your wanting your room to look like it is the deck of the Starship Enterprise). The lumens output is tremendous, combined with small to very small aperture. This can be 4 inch, 3 inch, even 2 and 1 inch finished trim openings. This is huge to making a space feel truly unique. In addition, the lumen output is growing constantly with some products offering 900 lumens, 1400 lumens, even 2000 lumens. And in most cases, you cannot really have too much light when you factor in high quality dimming. Combining this with energy usage dropping by 75%, no relamping required which is a huge long-term cost savings when you consider the virtual elimination of both the labor and product costs of relamping Recessed. 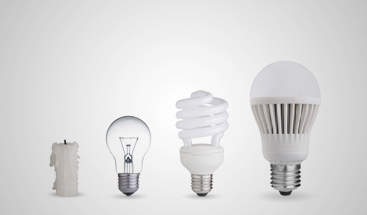 Along with the much lower energy usage, comes much less heat resulting in a significant indirect savings of reduced AC requirements that results from the removal of the traditional heat generated by incandescent lighting products. Cost does impact the viability of this product group. It is the highest cost solution, in many cases it can be multiples more than traditional non LED solutions. So each project and each application within a project should consider all aspects including product performance, initial cost, long-term cost, desired results and overall project scope. Most clients find this the most difficult aspect of their project, often times having desire for the high quality results but unwilling or unable to justify the cost aspect. Early discussion of budget can save on many fronts including lost design time which can be critical to product substitution which can create havoc and in many cases cause worse results than had no design been completed. Product cost is driven by quality in product components and construction. In all cases, lower cost product has lower quality results. We encourage clients to understand this and not dismiss this aspect.